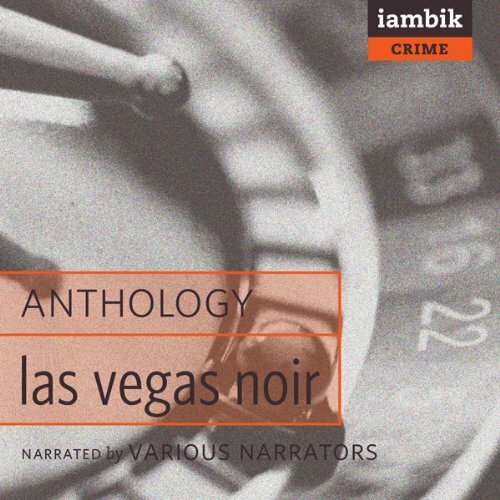 In 2004, Akashic Books launched a groundbreaking series of original noir anthologies, starting with the award-winning best-seller Brooklyn Noir. Each book is comprised of new stories, each one set in a distinct neighborhood or location within the city of the book. In this chilling portrait of America's Sin City, lady luck is just as likely to dispense cold hard cash as a cold-hearted killing. Brand-new stories by: John O'Brien, David Corbett, Scott Phillips, Nora Pierce, Tod Goldberg, Bliss Esposito, Felicia Campbell, Jaq Greenspon, Jose Skinner, Pablo Medina, Christine McKellar, Lori Kozlowski, Vu Tran, Celeste Starr, Preston L. Allen, and Janet Berliner - see below for full table of contents. Las Vegas provides the classic sophistication and darkness necessary for a deadly noir story. Stylish, sultry, brimming with ambition and greed, the characters that populate this literary Las Vegas are pushed to the extremes of human experience. From the neon glitter of the Strip to the treacherous views of Red Rock Canyon and Boulder City, from the desperation of Naked City to the racial tensions of the Westside, no other location offers so many different avenues leading to serious trouble. Many legendary authors have turned their attention to Vegas to investigate the city's moods and mysteries. Now, the most recent crop of acclaimed writers explore the secret neighborhoods and byways of America's most sinful city, offering readers not only compelling noir tales but also an insider's understanding of this steamy oasis. These authors take readers beneath the surface flash of Freemont Street and the Strip and into the gritty multicultural environs of underground Vegas. ©2008 Akashic Books (P)2012 Iambik Audio Inc.